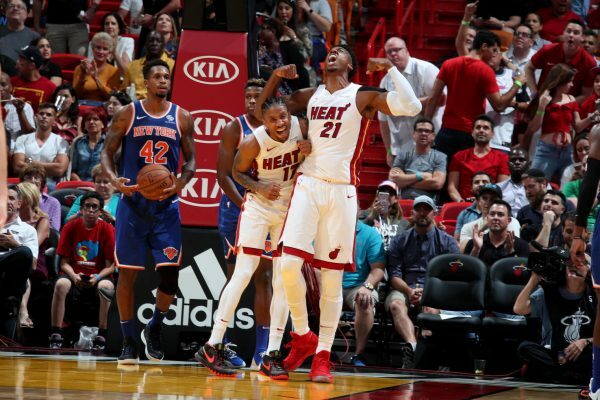 (Miami, FL) — Exploding for 45 third-quarter points, the Miami Heat turned a tight matchup into a blowout as they defeated the New York Knicks, 110-87, on Wednesday night at American Airlines Arena. The victory evens the Heat’s season record at 2-2 and gives them their first home win of the season. The Heat held a 49-47 lead at the break, then connected on 75 percent of their 20 shots from the field to take a 92-65 lead into the final period. Besides holding the Knicks to just 28 percent (7-of-25) shooting in that same category during the third, the Heat also used their opponent’s main first-half weapon against them by drilling seven 3-pointers. In addition, they managed to dish out nine assists in those 12 minutes, one more than their entire output in the first half. During the final quarter, the Heat were never seriously challenged and actually inched the lead up to 30 points in the final minutes. The huge lead allowed Heat head coach Erik Spoelstra to empty his bench and he cited veteran Dwyane Wade for maintaining the team’s focus. “Dwyane brought the guys together in the third quarter when we got up by 20 and reminded these guys what this modern NBA is like,” Spoelstra said. All five members of the Heat starting lineup scored in double figures, combining for 86 points. The quintet was led by Hassan Whiteside‘s double-double of 22 points and 14 rebounds. Josh Richardson added 21 points and eight rebounds, while Rodney McGruder contributed 19 points, six boards and five assists. Rounding out the group was Goran Dragic who scored 13, grabbed five rebounds and handed out three assists, while Kelly Olynyk tossed in 11 points, collected six assists and hauled down three boards. Among the reserves, Tyler Johnson finished with 10 points and four rebounds. 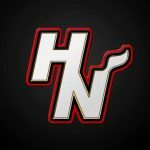 The Heat will remain at home for their next outing, which takes place on Saturday night. That’s when they’ll host the Portland Trail Blazers in a contest that will tip off just after 8 p.m.